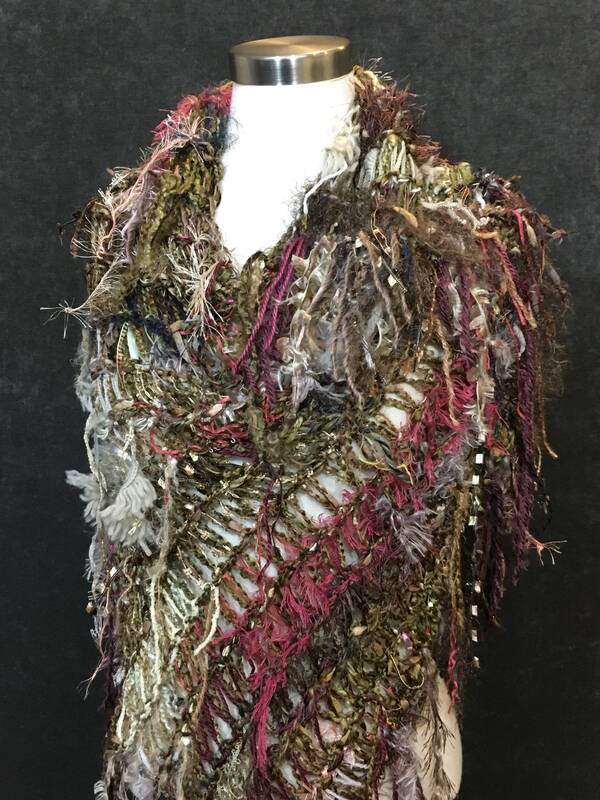 This piece is a fun, artistic, shaggy way to show your 'dumpster diva' style! 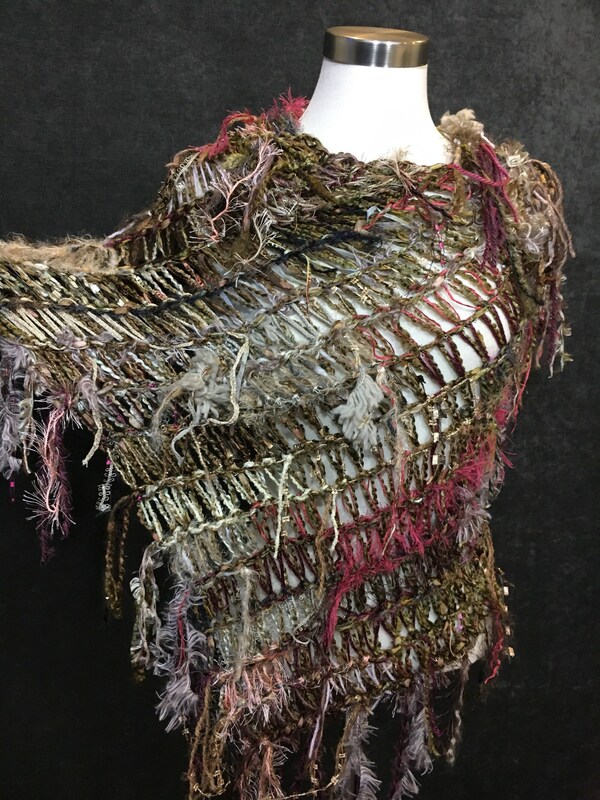 It's a collection of over 15 different materials, hand tied and knit together in a drop knit shawl or poncho style, blended with a multitone acrylic in tan tones with hints of peach. 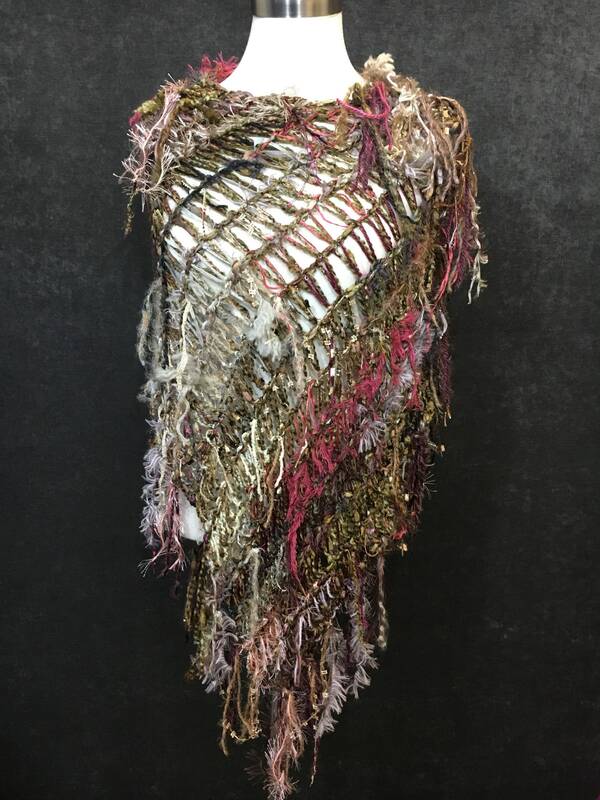 Fringie is integral to the piece, as it's composed of my custom hand-tied diva skein yarn gathered from all over the world - so you have a unique piece! 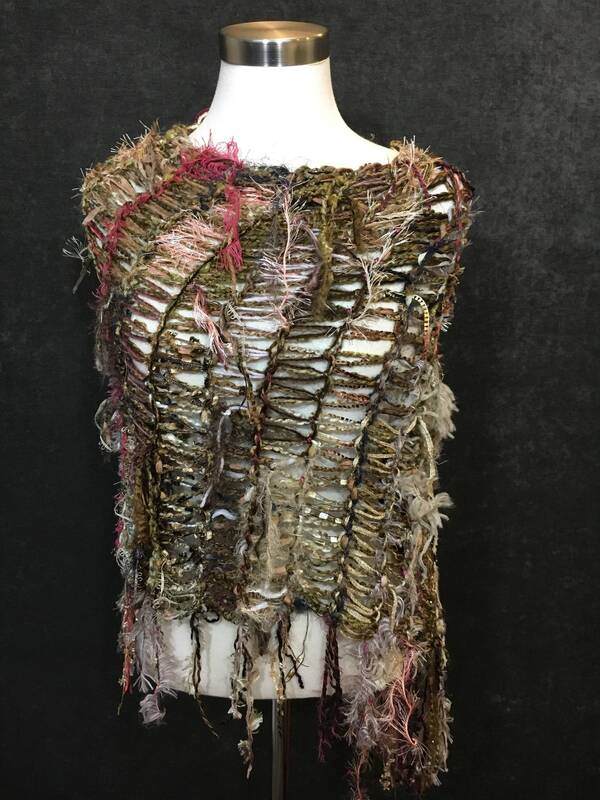 This piece is lightweight and an open weave knit pattern. 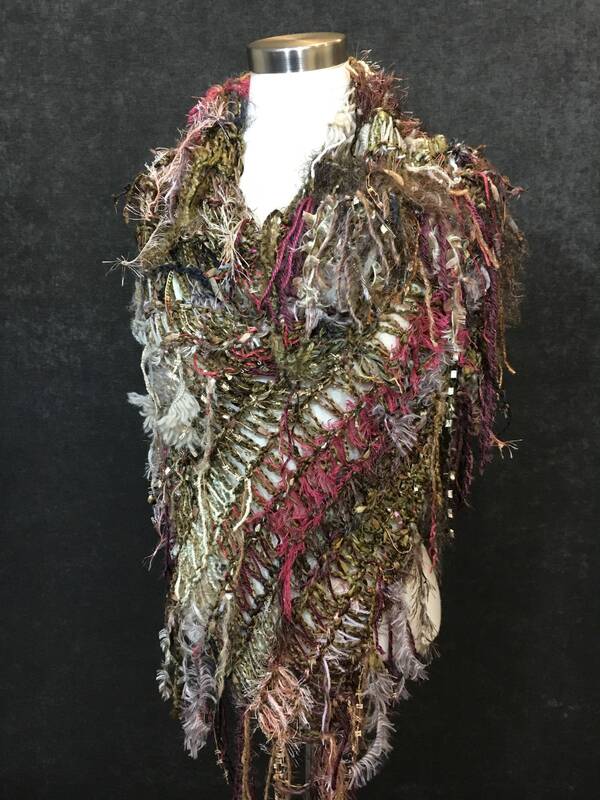 Great over any top or dress or swim suit in warm temperatures to add some artsy style! Great for all season styling fun! The colors are neutral and unique! Wear it with diamonds or jeans... it will add fashion-proof flair to whatever you decide to wear! 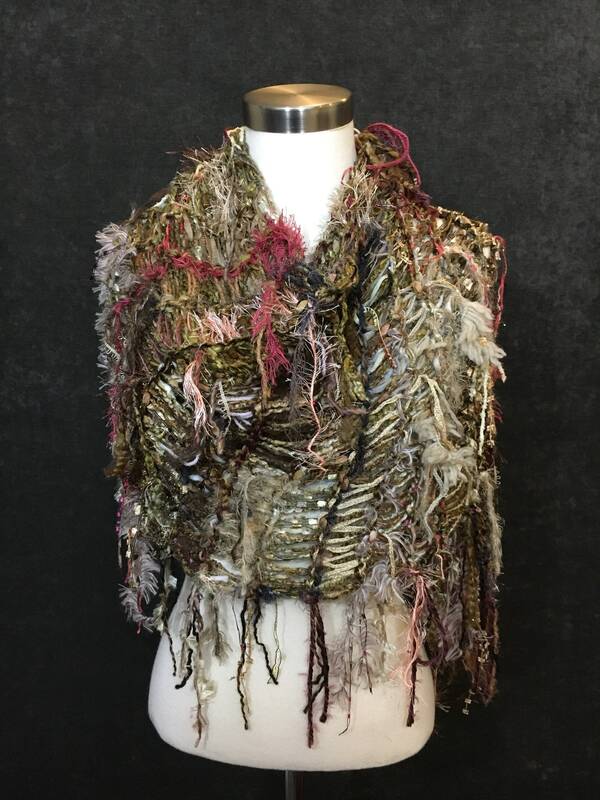 Materials include ribbon, nylon, rayon, acrylic, flag and ladder ribbon, cotton, hand spun merino-silk-blends, short and long eyelash and more! Pop this on instead of a hoodie or jacket, leggings, jeans boots - whatever! It's a great funky fashion piece that will bring you oodles of compliments and spice up any simple solid colored top. 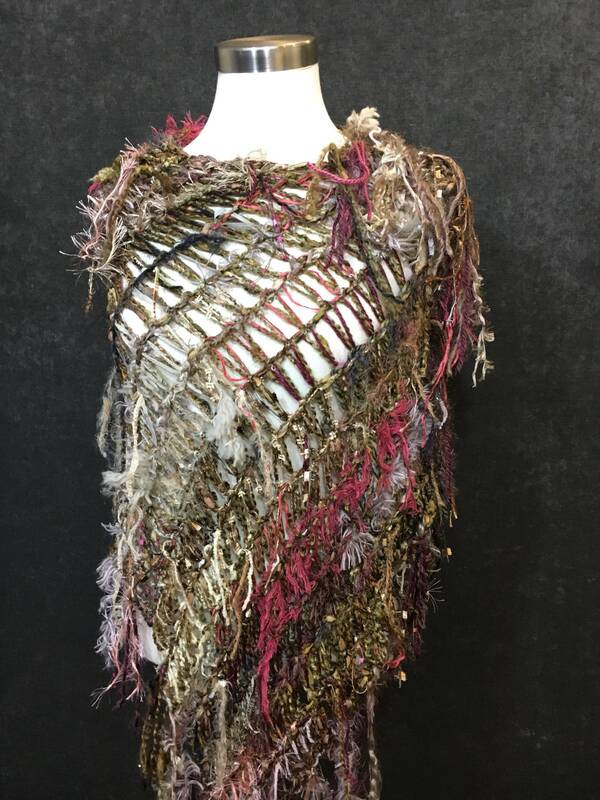 This piece is perfect to wear off-kilter on the bias with the point at one side, leave hang loose in the front, cowl thicker at the neck, wear the tip at the side or back, and more! See feedback in my shop for feedback on the 'dumpster diva' series! You'll definitely have an eyecatching versatile 'statement' accessory! It's easy-wearing - just pop it over your head! No tying needed for this one! It's a definite stand-out-in-the-crowd piece!! 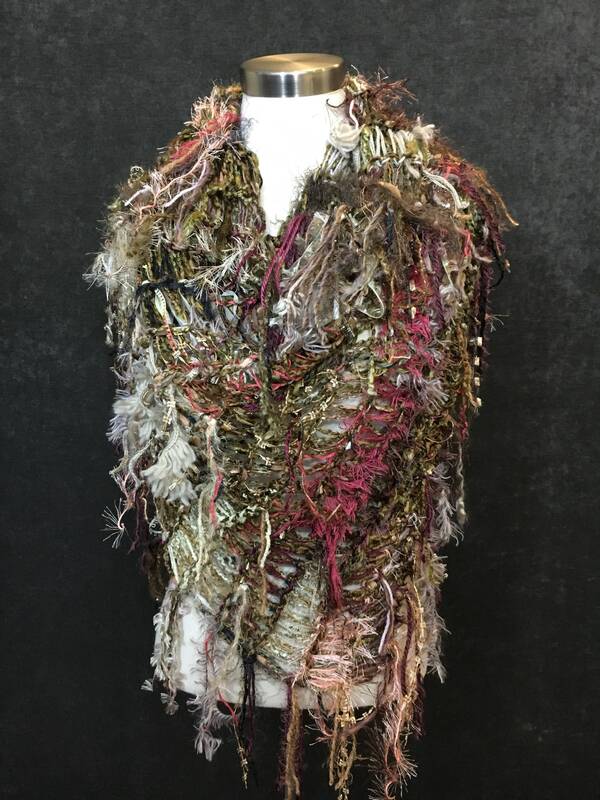 Because the materials are hand-tied from my own custom skeins with materials from all over the world, you have a one of a kind piece!! Follow me for new listings and where I'll be selling!